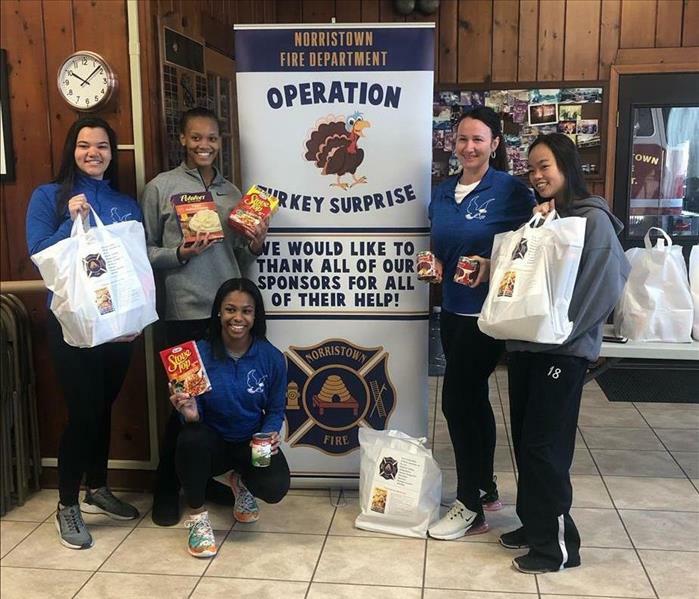 2018 Turkey Surprise Event at the Montgomery Hose Fire Co. / Norristown Fire Dept. Here are some of the smiling faces from our communities in the Manayunk and Chestnut Hill area. 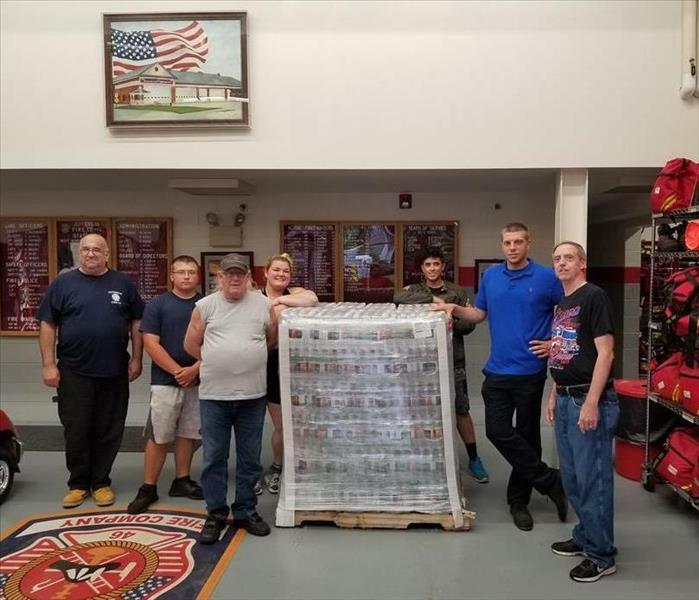 SERVPRO is proud to sponsor this annual event at the Montgomery Hose Fire Company / Norristown Fire Dep't where we volunteered to help supply and pass out bags (looks like there are a few in the Photo) filled with turkey, all the fixins, and even a pie. These youngsters represent a small part of the over 100 families that cannot wait for Thanksgiving Day to arrive. Our SERVPRO team also provided breakfast and lunch to the volunteers who participated in this wonderful program. Of course, our First Responders also had their fill. We all come together and realize the importance of Operation Turkey Surprise. Community Strong! Our very own Office Manager of SERVPRO of Manayunk, Jessica Signora, made an impact on the PASA-PSBA School Leadership Conference Held in Hershey. Many topics were discussed to improve the school environment for our students to better their learning potential. 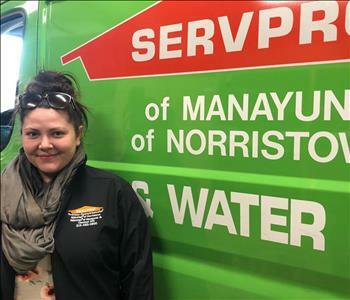 Our showstopper provided not only Jessica's winning smile but also a wealth of information regarding the outstanding services SERVPRO provides to the cleanup and restoration industry. Many schools have benefited from our prompt response in keeping the doors open for education. 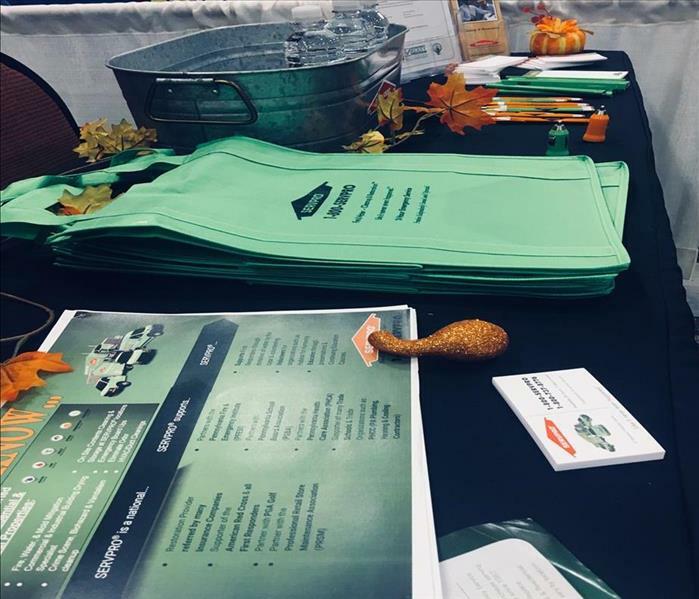 With the upcoming Halloween Spirit, we offered some Tricks of the Trade and some Treats like Green SERVPRO tote bags, a raffle drawing, and ice-cold bottled water. We quickly ran out of Hershey's chocolate to pass out, but you can still have our phone number and call us for help at (215) 482-0800. Some of our SERVPRO of Manayunk team members attended the Philadelphia Eagles season opening win on Thursday. The game was played at Lincoln Financial Stadium in Philadelphia. Most importantly, fans were rewarded with the unveiling of the 2017 Super Bowl Championship banner. The Eagles defeated the Falcons, 18-12, in the season opener thanks to a late goal-line stand. Our team members are part of the local community and support the Eagles and local charities. 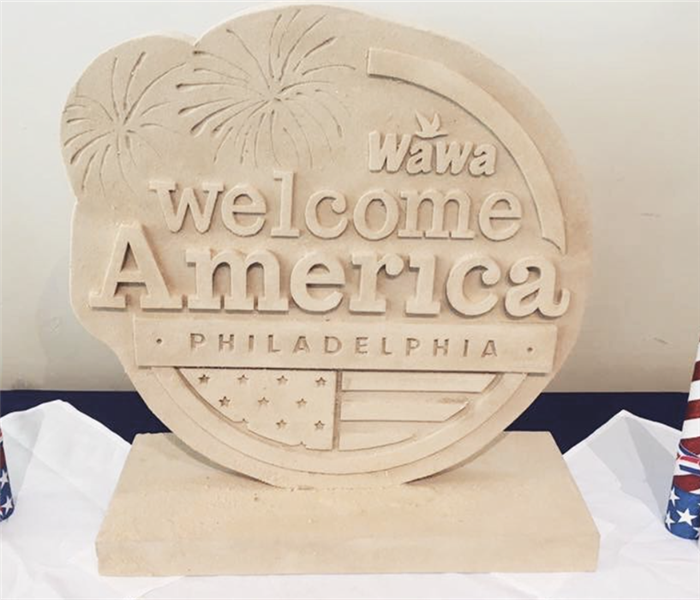 Our team is proud to announce that on August 15th, we will be volunteering to take down the Wawa Welcome America’s Sand Sculpture so that it can be used for disaster relief. We will be bagging over 1,500 sandbags and donate them to the Montgomery County Office of Emergency Management. Once we remove the sculpture, The Shops At Liberty Place will go back to normal "Like it never even happened." 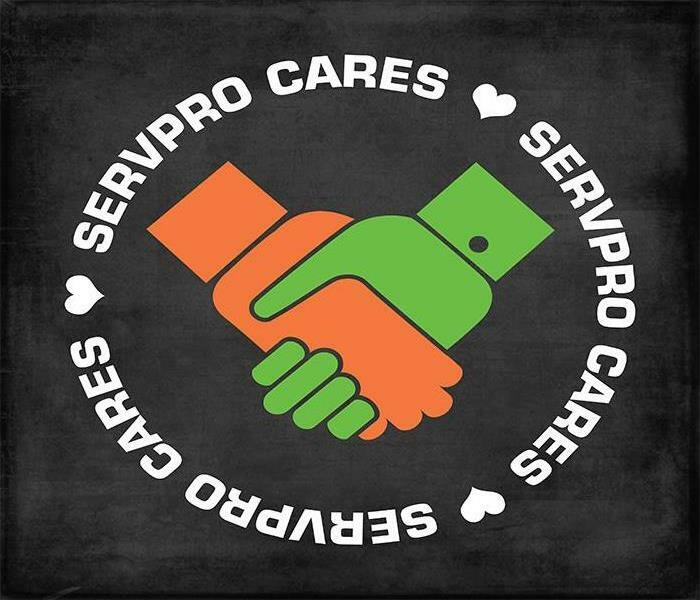 SERVPRO of Manayunk is proud to say that we love volunteering within our local community! SERVPRO of Manayunk is proud to support all fire departments in the local community. Wow! 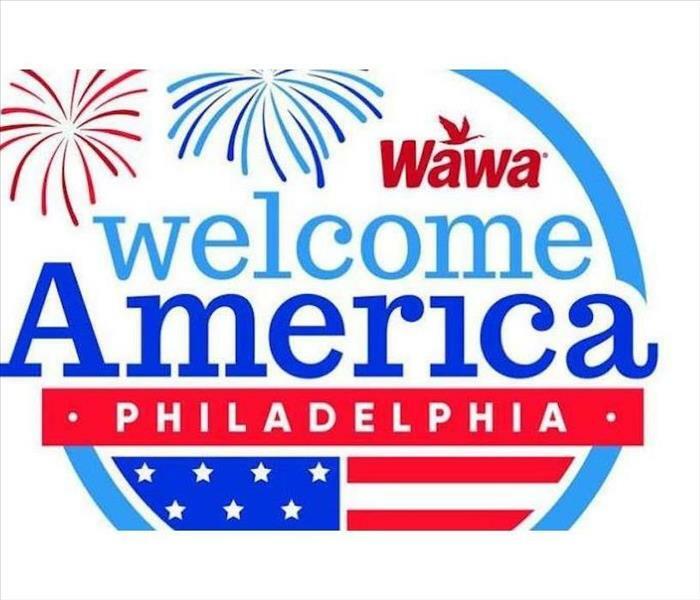 That is all we can say about this year's Fourth of July WaWa Welcome America Festival! It was such a great time and we had so much fun sponsoring the event alongside other fellow SERVPRO franchises. 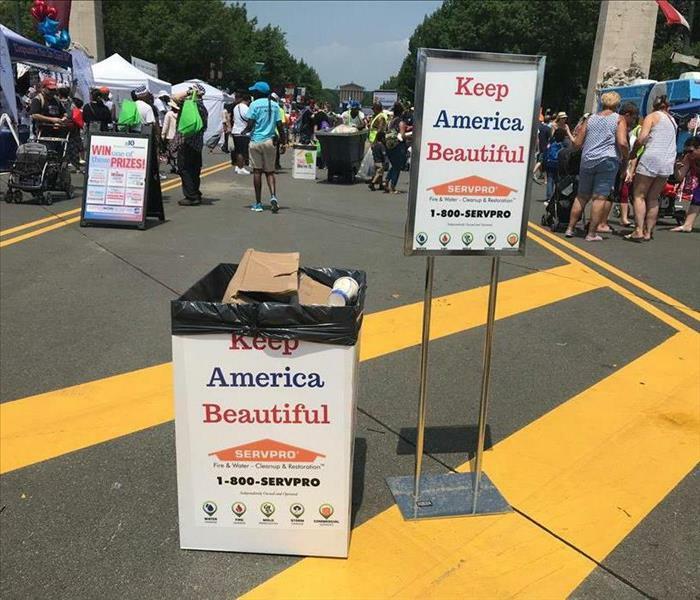 We had a huge tent set up, gave out goodies, and donated trashcans to help keep the streets clean. Thank you to all who attended and a bigger thank you to everyone who helped put this fantastic festival together for the town of Philadelphia to enjoy! EXCITING NEWS! We are thrilled to announce that we are teaming up with fellow SERVPRO franchises and will serve as a sponsor at the WaWa Welcome America Festival this year! It is a multi-day festival with FREE multicultural and multigenerational events celebrating America’s birthday. This festival will be from June 28th - July 4th. Stop by our booth as you walk around and show your support for our First Responders. Trust us, you and your family don't want to miss this event! The Season for Spreading Joy is once again upon us all! 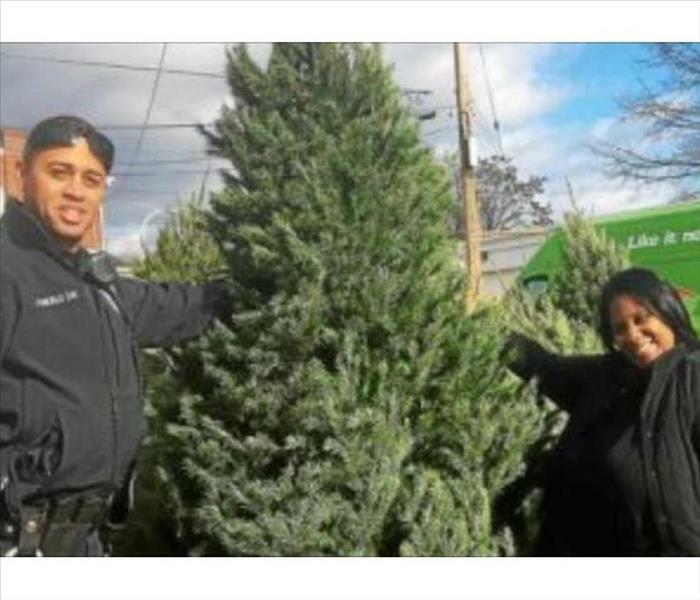 SERVPRO of Manayunk happily donated 100 Christmas trees trailered in by our Green Fleet and Walmart Gift Cards to this annual event sponsored by the Norristown Police Department, the local school district, and churches. Our owner, Brian Turpin, along with ten members of our team, proudly also passed out hot chocolate and cookies to the children. Beaming smiles, snowflakes falling, and K 9 demonstrations brought even more joy to this festive occasion. We are fortunate and proudly give back to our local neighbors to make this a meaningful and happy time. Our team had an absolute blast sponsoring the 7th annual Chestnut Hill Harry Potter Festival. Our SERVPRO "Department of Disasters" tent had many wizards of all ages stop by and enjoy some treats. We even had some muggles stop by and talk to us. We love seeing our community come together and enjoy such a fun, magical day. Remember, if there's mold in your broom cupboard or cauldron leak on your carpet, give our team of wizards a call and we'll make it disappear "Like it never even happened." Our SERVPRO of Manayunk team will be one of the sponsors at the upcoming 6th Annual Benefit for the Brain event on Wednesday, November 8th at the Philadelphia Marriott West. The event will be full of live music, a silent auction, and an amazing dinner. 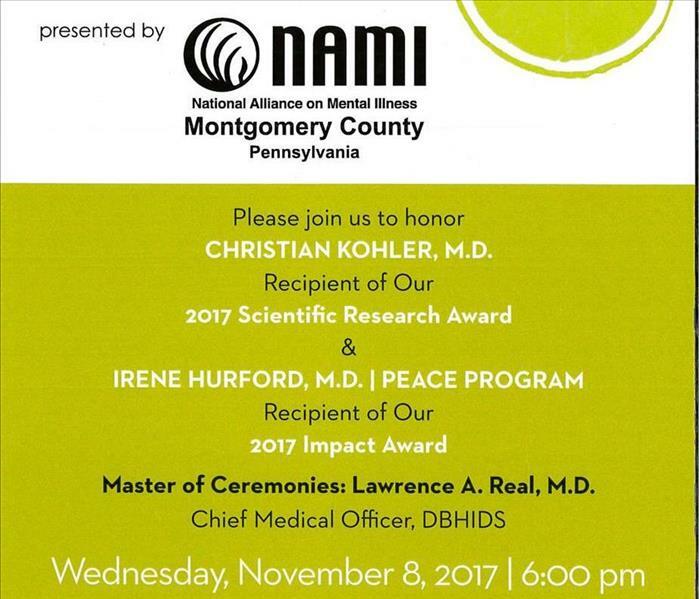 All proceeds from the silent auction will go towards National Alliance On Mental Illness of PA Montgomery County. This will help them offer no-cost education, support, and advocacy programs to those and their loved ones living with mental illness. Please join us for a great cause! 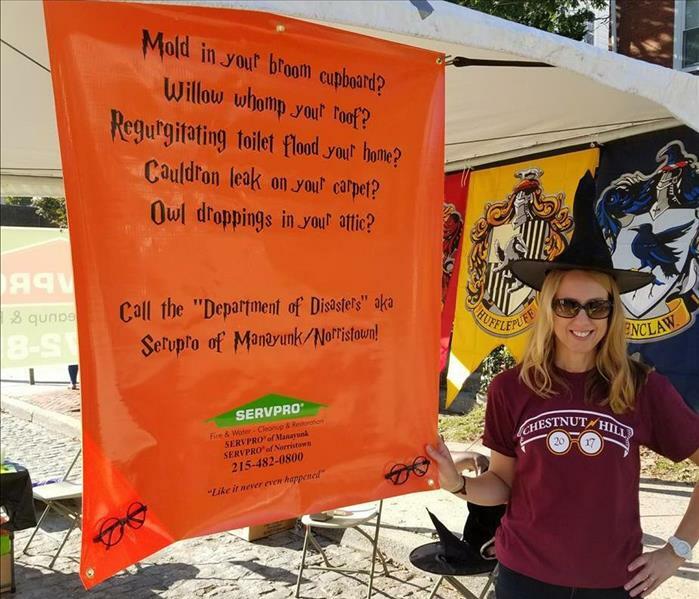 Please join SERVPRO of Manayunk at the 7th annual Chestnut Hill Harry Potter Festival on Friday, October 20th & Saturday, October 21st! You and your loved ones will be able to enjoy some delicious food, watch performances by aerialists, photo boots, fortune tellers, and much more. Join the science museum at Jenks Memorial Playground for a family-friendly “out of this world” evening. The festival includes Food Trucks for outdoor dining and two beer gardens. Trust us; you do not want to miss this experience! Our team will be sponsoring the event with a tent set up full of wizardry goodies. We look forward to seeing you all there! We are always ready to support the local community. Introducing Sal. Your community, is our community. 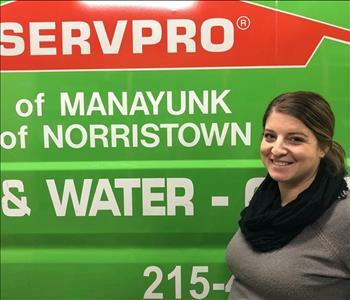 SERVPRO of Manayunk is local owned and operated, our team members are part of the local community. 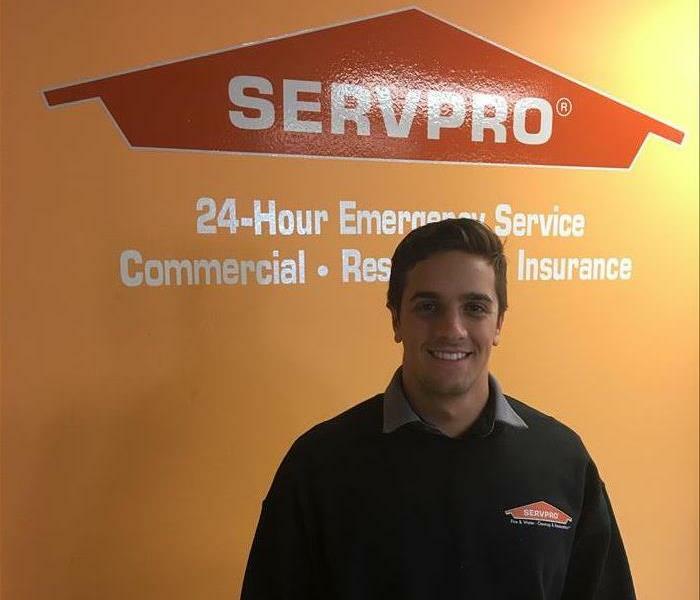 We are proud to introduce Sal, the newest member of our SERVPRO team. Sal is currently studying corporate communications at Penn State University. He is staying in his field of choice by working with our Sales and Marketing team. 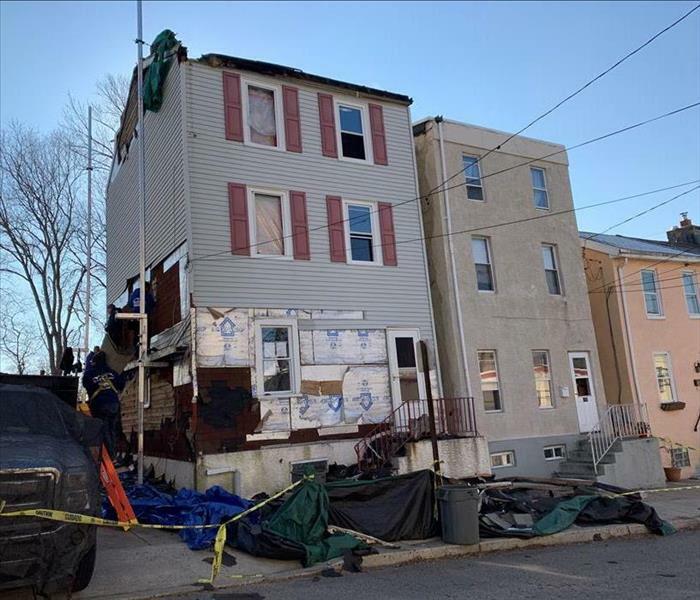 Sal hails from Springfield and excited by the opportunity to help local business owners and residents recover quickly from Water, Flood, Fire, Smoke, Mold or Storm damage. 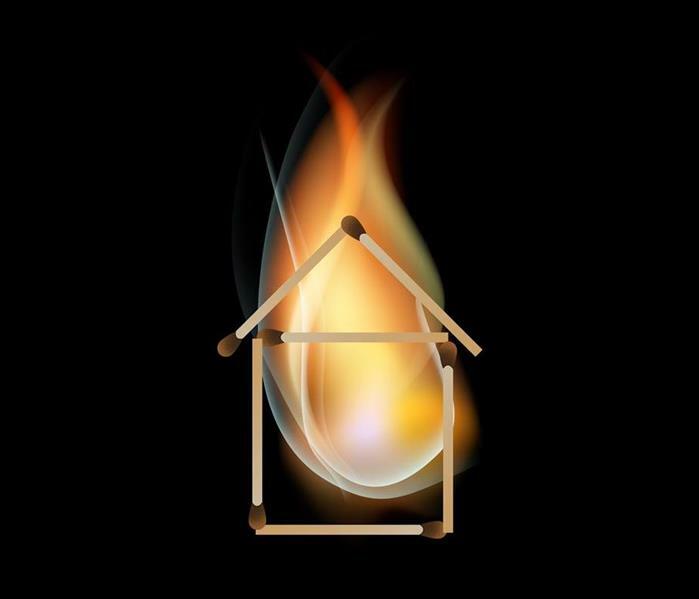 If your Roxborough or Philadelphia area property suffers a loss, our highly trained technicians are available 24/7. SERVPRO of Manayunk is a supporter of Variety – The Children’s Charity of the Delaware Valley. Variety promotes self-confidence and independence to children and young adults with disabilities through vocational, social, and educational programs. At SERVPRO of Manayunk, we are proud to support our local charities. 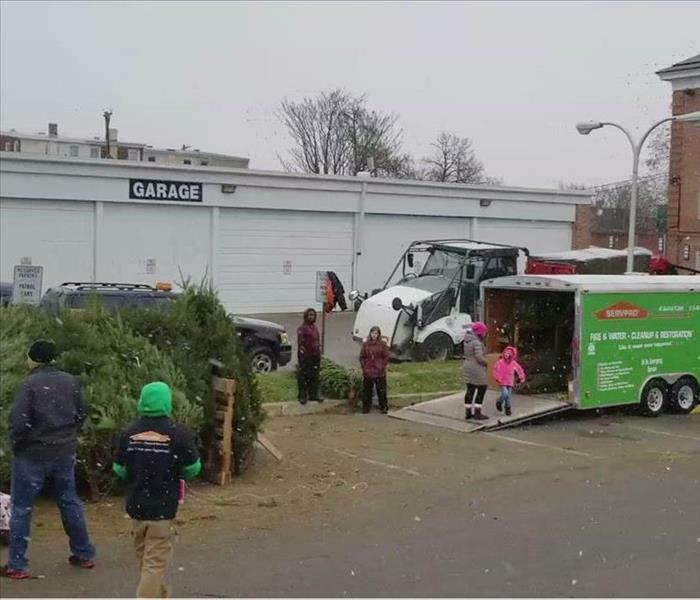 Brian Turpin, the proud owner of SERVPRO of Manayunk and a local, with many community ties, donated and helped give out 104 Douglas fir trees to the kids needing a Christmas spirit boost. This holiday event took place at the parking lot of the Norristown Police Department. Of course, fun for all meant free cookies and hot chocolate with marshmallows. This spirited gathering was a great way for the community, police department personnel, and even the K-9 Corp to come together and bond and understand each other's needs. Thanks go out to our local newspaper for covering this positive news occurrence, and you can read the article right here. Also, a big shout-out to Fox29 for the broadcast shown with this click. . Mark E. Talbot Sr., Chief of Police said, "It was a pleasure working with you! I look forward to doing more great things with you in the future." By giving back to the community, it makes us all better people. You can rely on SERVPRO to spread some joy with free Christmas tree and help if you have water, mold, or fire cleanup requiring attention. Until next year, Happy Holidays! !